Trying to sort out some of my toolbox storage, and i came across some socket rails that look useful, especially as they come in different colours. 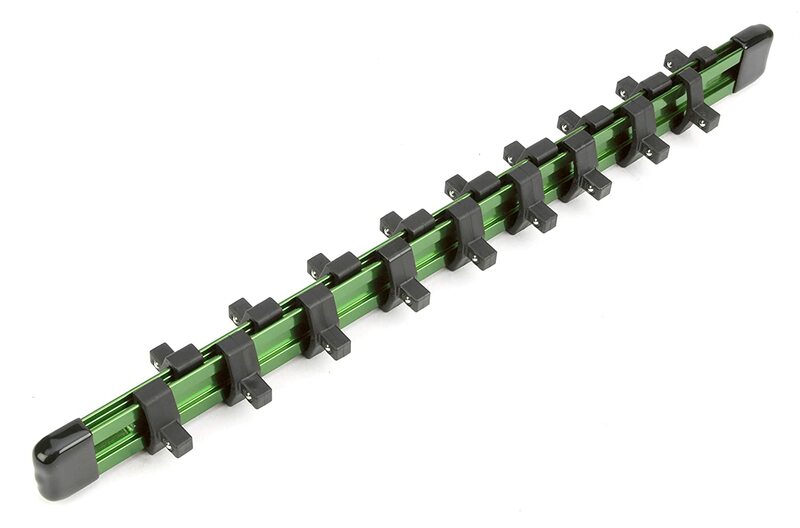 and a set of 3/8 nano impact sockets i bought in the US came with a blue rail. A bit of googling has yielded gold (https://www.ebay.com.au/itm/Socket-O...frcectupt=true) orange (https://www.ebay.com.au/itm/Socket-O...frcectupt=true) and black rails as well. I want to get a few different colours for the different types of sockets in the tool box and in my travel bag. Red for metric, blue for imperial, green for torx etc etc. So i really dont want to have to buy whole sets to just get different colours. Done the usual trawl through aliexpress etc to try and find the source, but no avail. All i found was this guy on Alibaba : https://www.alibaba.com/product-deta...516c225chEp4wa but they haven't responded. Anyone have a source for these in single sizes and range of colours? I had toptul ones in my Thailand tool box, In red green and blue. This website is someone from PF... maybe ask if they can source the different colours. Don't mention the adBlocker !! Yeah, considering those for the top of the toolbox. But also wanting some for taking out and using out of the tool box. Which will do if i cant find the Chinese supplier. Not quite those, these have plastic clips with BB inserts and are dual sided, so you can store double the number of sockets in a similar horizontal space. dont let me talk you out of it, but i find these better. magnetic on all sides, stick in place in the toolbox, and can be taken out of toolbox and stuck to any nearby surface in any orientation when youre working. Sockets then quicker to grab and put back, and stay put. dont Need to be put back properly either, just kindve shoved back onto the rack somewhere. 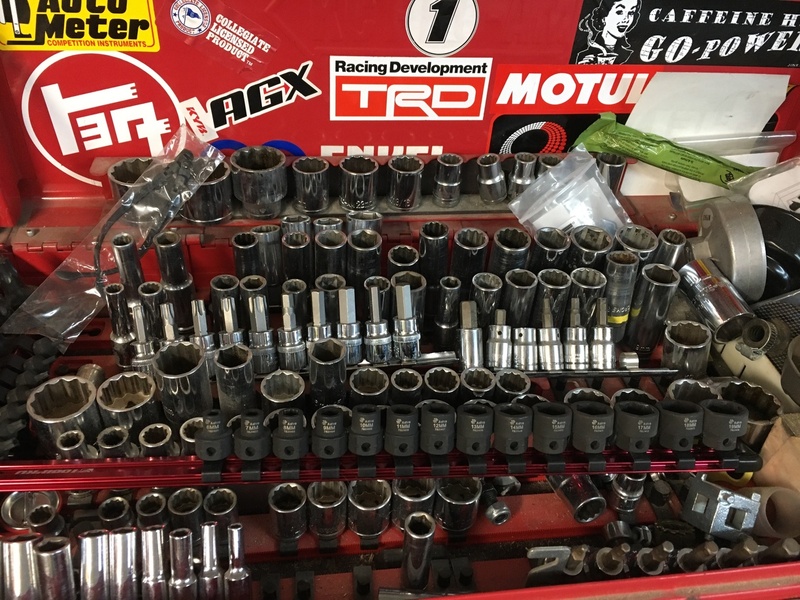 usually all end up out of order by the end of the session, but simple enough to re-sort before putting back in the Toolbox. ive got about 8 of them in 1/4 3/8 and 1/2 and love em. Last edited by doctor ed; 05-01-19 at 11:54 PM. "I think that in a racing engine, the closer it is to disintegrating, in general the better its performance will be "
Get a yoga mat, cut to size of drawer. Trace out sockets, cut with pen knife. Done. $10 all up. But they arent great for hex stuff, and especially aren't good for portable setups. This is one of the great things about those socket rails, you can shove them in bags and stuff for taking to the track or a mates etc, and no issues. Those magnetic ones tend to fall off when they are knocking about in a bag. Harbour Freight does plain chrome ones for 89c each. I just picked up a couple more sets. As you say they hold sockets better than the magnetic ones. Do they really need to be pretty anodised colours? Yeah you can get chrome ones easily, but not with the ball bearing secured clips. The various colours helps with identifying the type of socket quickly. Blue for Metric, red for imperial, green for torx, gold for allen etc. Its a little thing, but given it doesnt really add to the cost it is quite preferable.